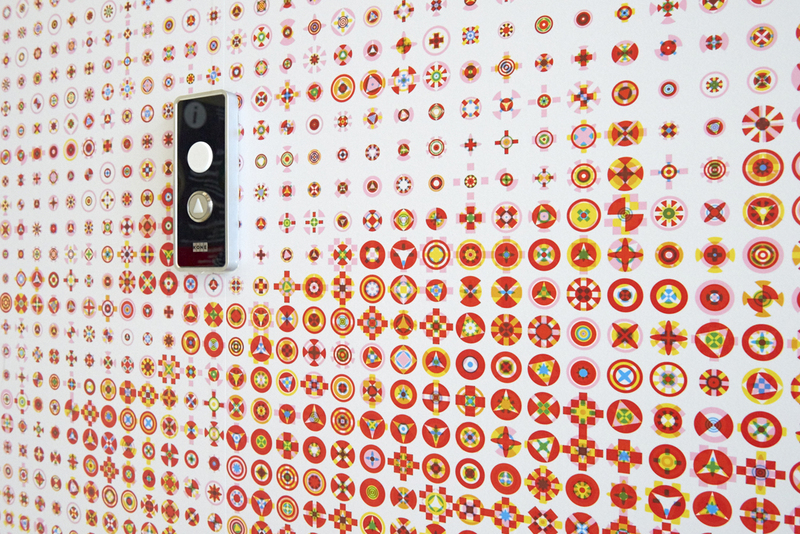 Graphic designer Karel Martens has created a new installation for Guy’s Hospital Cancer Centre in London, one of five major artistic commissions that form part of an embedded design and arts programme curated by Futurecity for the Rogers Stirk Harbour + partners-designed building. 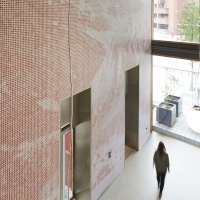 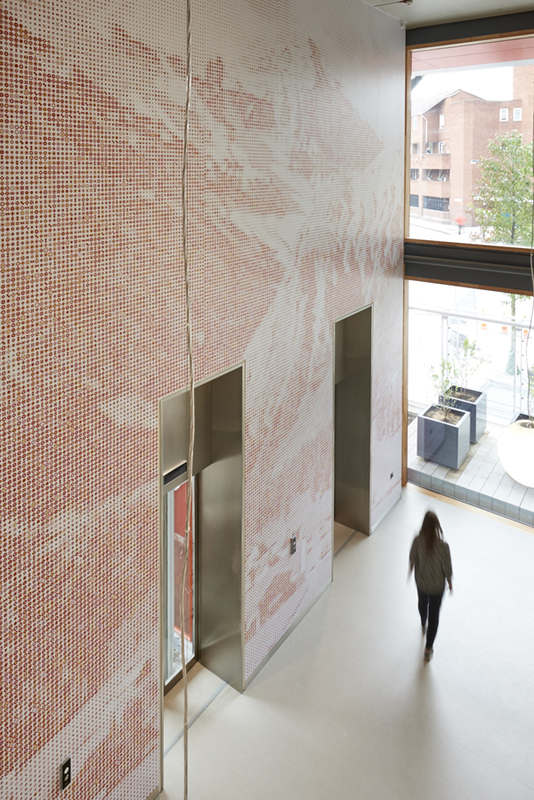 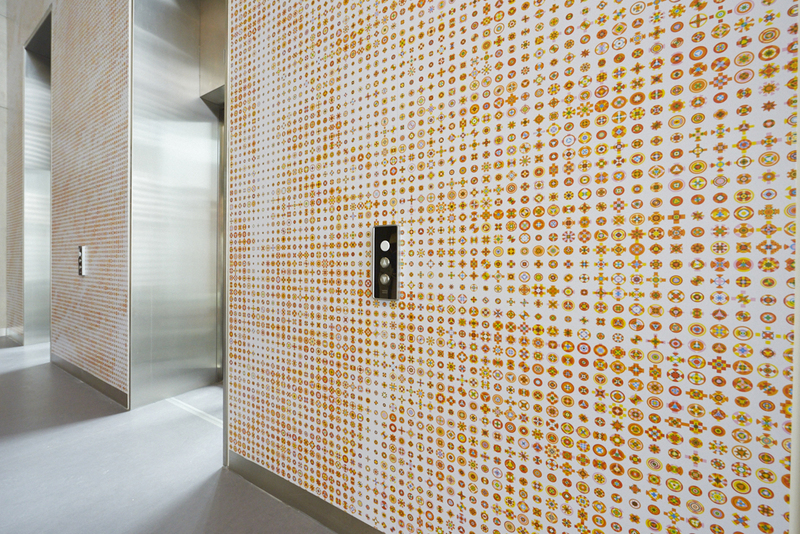 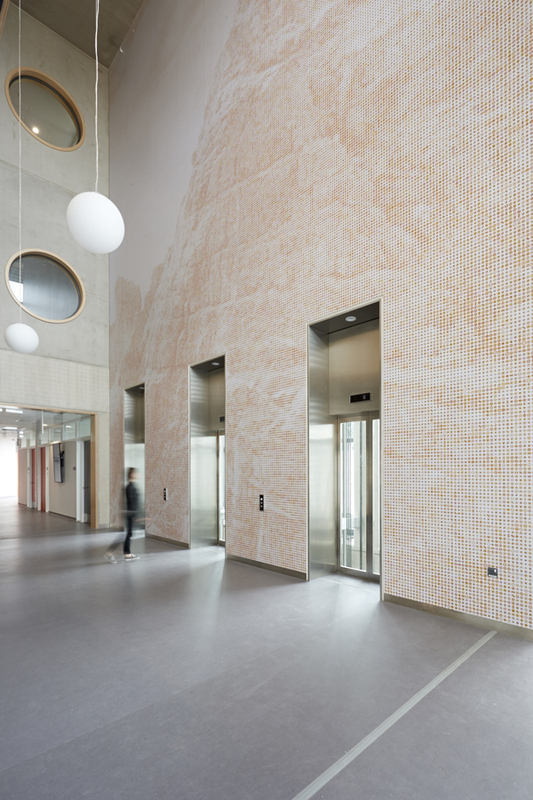 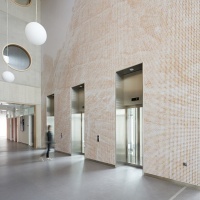 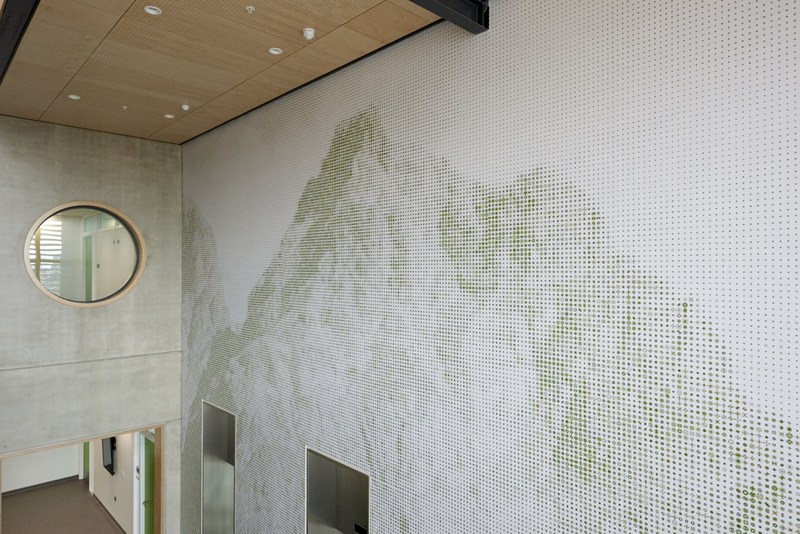 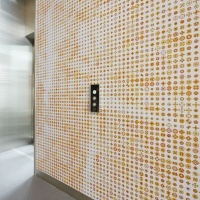 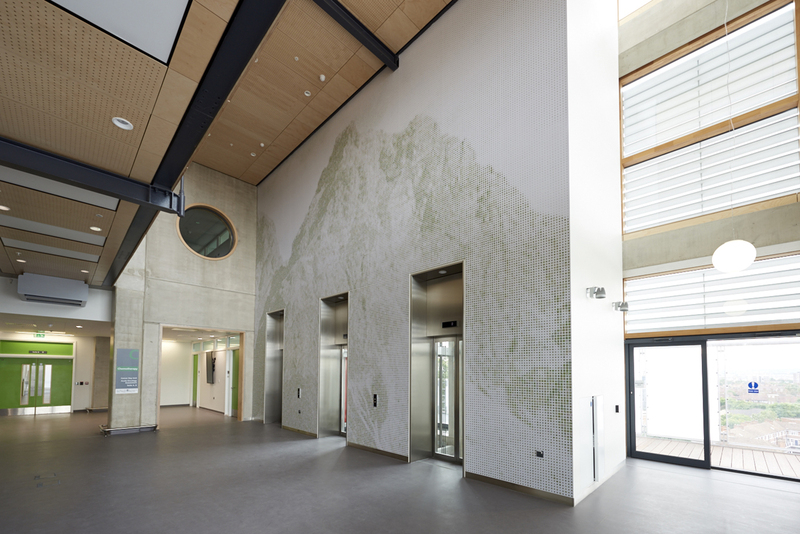 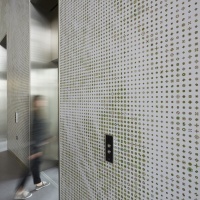 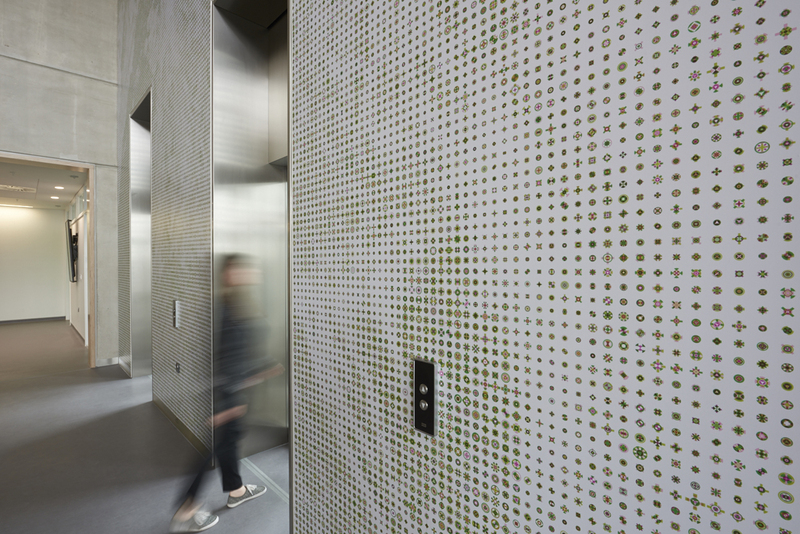 Futurecity approached Pentagram to art direct Martens’ project, The Mountain, which has seen thousands of coin-sized coloured shapes transform the lift lobby walls to create a series of mountain landscapes. 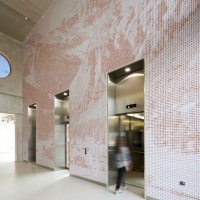 Marten’s was apparently inspired by Thomas Mann’s novel The Magic Mountain in creating the work. 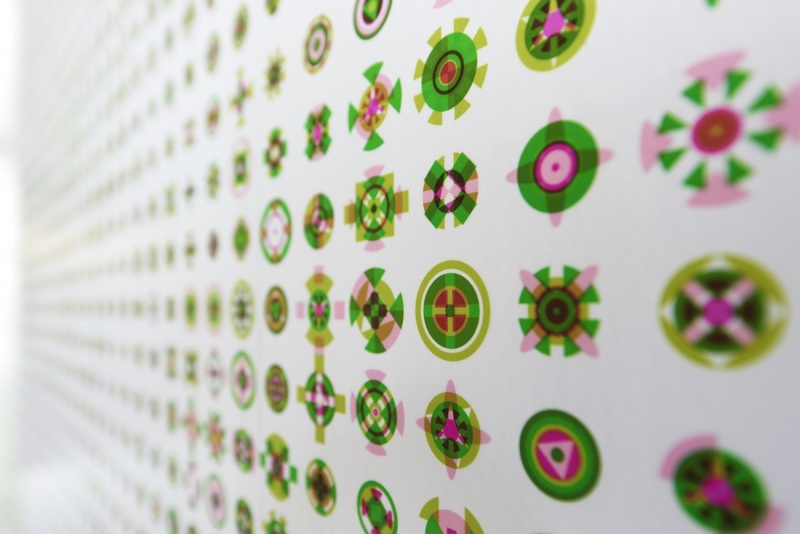 The artworks form part of a £1.7m arts programme delivered by Futurecity and commissioned by Guy’s and St Thomas’ NHS Foundation Trust (funded by Guy’s and St Thomas’ Charity and donations from supporters). 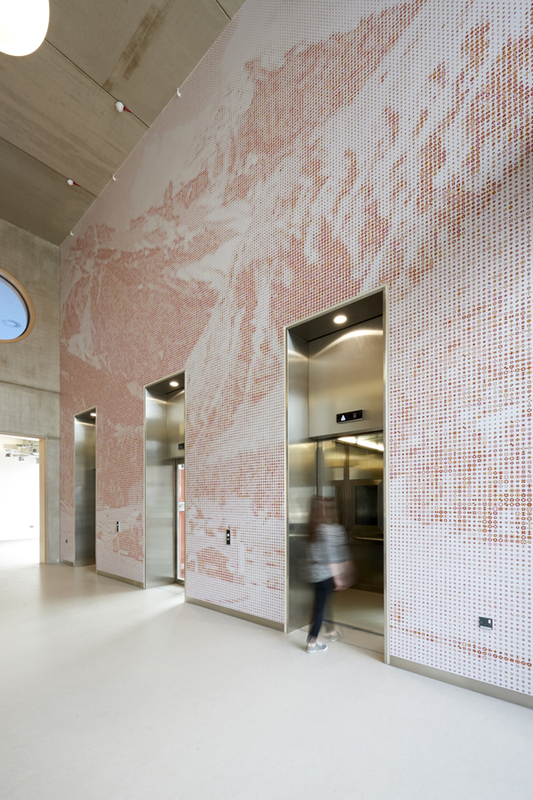 According to the curating body, the programme “aims to transform the experience of those undergoing cancer treatment through high-quality, specially commissioned culture. 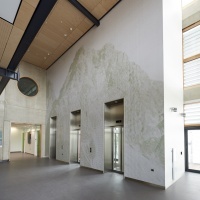 It has been informed by a large body of evidence suggesting that art can contribute to better health and wellbeing; helping reduce stress, aid recovery and reduce the length of hospital stays”.